Coaster Panel Bed Dylan CO201401BED. 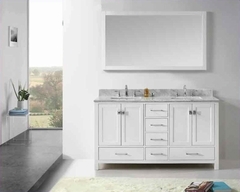 The Dylan stylish bedroom set will help you transform your master suite into a calming oasis. The contemporary pieces feature clean lines, with wood veneered tops and case sides and fronts covered in rich black faux leather. The luxurious storage pieces are accented with silver metal handles for a modern touch, while a stunning upholstered bed acts as the focal point in this room setting. 1 x Oueen Panel Bed CO201401Q. 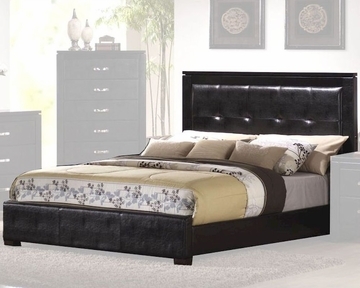 1 x King Panel Bed CO201401KE. 1 x California King Panel Bed CO201401KW. Queen Bed – 63"W x 86"D x 49"H.
King Bed – 79"W x 86"D x 49"H.
California King Bed – 75"W x 91"D x 49"H.
case sides and veneered tops. Clean straight lines, smooth edges, tapered feet. Wood veneered tops with straight edges.